Pour 2 cups coffee into ice cube tray. Freeze 3 hours or until solid. Refrigerate remaining coffee. 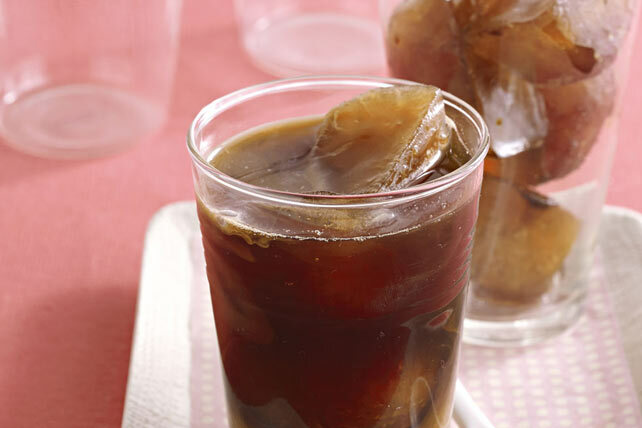 Pour chilled coffee over coffee ice cubes in 4 tall glasses just before serving. This is a great way to use leftover brewed coffee. Prepare as directed, sprinkling 1/2 tsp. ground cinnamon over the coffee grounds before brewing.